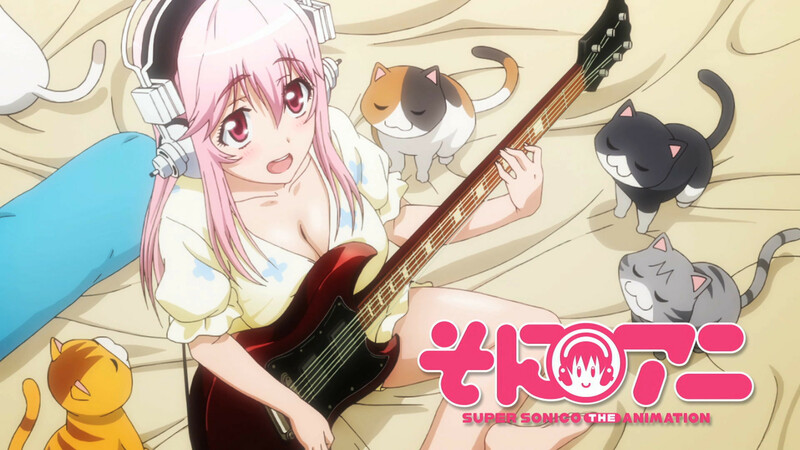 HOUSTON – Worlds collide as an iconic Nitroplus mascot gets her day in the sun in Sentai Filmworks' latest acquisition, Soni-Ani:SUPER SONICO THE ANIMATION. This 12 episode romp in girl band wonderland is directed by Kenichi Kawamura (Rozen Maiden, Ninja Scroll), with scripts by Yousuke Kuroda (S-CRY-ed, BTOOOM! ), art direction by Yoshito Takamine (Gurren Lagann, Broken Blade) and animation production by WHITE FOX (Persona 4, The World God Only Knows). When Sonico wakes up every morning she sees big things on the horizon, but when she gets up gravity takes hold and she can focus on what’s directly ahead of her for the day. And that’s a good thing, because Sonico is more than just an attractive girl with a really huge set of… er… headphones. She’s also an incredibly busy young woman who somehow juggles modeling and working at her grandmother’s bar while attending college AND performing lead vocals and playing the guitar in the all girl band Fastest Speed In Space. How she manages to squeeze it all in is as big a mystery as how she manages to squeeze into some of her outfits or paint her toenails without falling over, but somehow she always stays balanced and abreast of the situation. Well, most of the time, anyway, and when her workload does get a little top heavy, she can count on her fellow musicians Suzu and Furi for a little stabilizing influence. Get ready for the bounciest adventure ever as this three girl band shakes, rattles, rolls and takes Tokyo by storm in Soni-Ani: SUPER SONICO THE ANIMATION! Soni-Ani: SUPER SONICO THE ANIMATION will be available soon through select digital outlets with a home video release to follow.